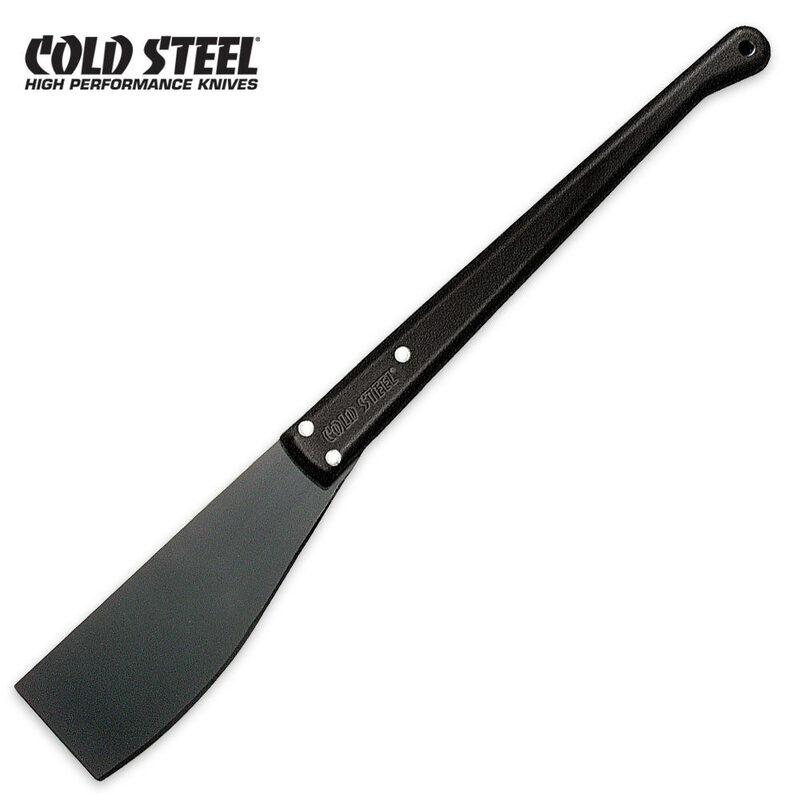 New Cold Steel Two-Handed Machete.Not For Wimps! Some big cutting jobs require the use of both hands! The long propylene handle and tough 1050 carbon steel 11 blade give you leverage to cut down small trees and thick brush. Weighing just under two pounds and measuring 32 overall, this machete is light and compact enough to stash in your vehicle, boat, or airplane. Overall a solid chopper, functions like a lighter, faster cousin of an axe. My only complaint would be that they would have done better to mold the handle out of polypropylene like their one-handed versions to make it a little bit more solid. It's at a low price and it chops well. I don't regret buying this.